Your work footwear doesn't have to be “tough as old boots” to be great. But they should be as tough as a new pair of these Reebok Men’s Black RB1068 Beamer Waterproof Composite Toe EH Athletic Hiker Boots! 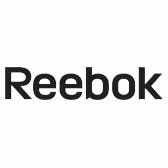 The uppers of these Reebok boots are made from wa ... (see full details) (see specifications) #RBKRB1068. Your work footwear doesn't have to be “tough as old boots” to be great. But they should be as tough as a new pair of these Reebok Men’s Black RB1068 Beamer Waterproof Composite Toe EH Athletic Hiker Boots! The uppers of these Reebok boots are made from waterproof leather to lock out water and moisture. Waterproof leather will keep your feet dry without compromising on breathablity. For eye-catching contrast, these waterproof boots are black with grey trim. Inside, nylon mesh provides ventilation to create a foot cooling system. To keep feet dry and comfortable, the waterproof bootie construction adds to the watertight build. When it comes to comfort, you’ll find a removable injected EVA cushion that is lightweight, soft, and flexible. The lightweight injected EVA cushion midsole features a wrap around TPU heel shank stabilizer to keep the foot firmly and comfortably in place when you wear these composite toe boots. Ensuring you’ll stay on your feet, there are slip-, chemical-, and abrasion-resistant dual-density rubber outsoles. Made with a composite toe, the toe caps offer the same great protection as steel toe without the weight. These XTR toe caps are also extra wide for a roomy and comfortable fit while wearing these safety boots. EH or electrical hazard rating means that these work boots will protect you against accidental contact with live electrical circuits. Passing through metal detectors is a breeze with the 100% security friendly non-metallic design. These Reebok boots meet or exceed standards for ASTM F2413. You can call them sturdy, rough, or strong. These Reebok Men’s Black RB1068 Beamer Waterproof Composite Toe EH Athletic Hiker Boots offer durability and protection. They are tough, but getting a pair of these men's boots is easy. Just hit Add to Cart! I received these 6 months ago. Bottom line, they look good but I would not purchase again. The eyelets are reflective which I like but they are very slippery on wet surfaces. They've been repaired once for loose stitching ($15-) and now, I recently, noticed, will require another repair in hopes I can get at least 1 year of wear out of them. For the first time in my life I have had to purchase othotics (another $20-) because of a bout of plantar fasciitis which I now directly attribute to the poor construction of these shoes. Me an Reebok will likely part ways as a result of this purchase, its been a very poor experience. I tried these to replace a pair of rocky boots that lasted over a year. The Reeboks (after one month of use at this point ) are comfortable and light, not to bad to get on and off even without hooks at the top, and look nice. My one issue with them is my foot with my orthotics installed seem to slide forward a bit pushing my 2 small toes against the front/side of the boot. So if you use orthotics it might not be a bad idea to get a 1/2 size up. I've worn Reebok's Safety shoes in Afghanistan and they fit great and were some of the most comfortable boots I've ever worn. I bought these on that experience. I'm sure these are very comfortable as well, they are just too small. I wear 14 EE and my toes are touching the end of the cap. They look to be well built. Absolutely love these shoes. I wear them 10 hours a day as a mechanic and they are very comfortable. I recommend these for anybody that spends long hours on their feet. They are not heavy at all. I will be buying again. Reebok Boots: Men's RB1068 Composite Toe Waterproof EH Hiking Boots is being added to your cart.